Agios Nikolaos is a unique town in Crete which manages to mix perfectly an arty, leisurely but also bustling place. Also known as Agios Nik or Ag Nik (but the whole name is pronounced eye-yoss niko-lowse). Its name is lended by the little church in town. Agios Nikolaos has a small-town feel, one that has lots to offer. 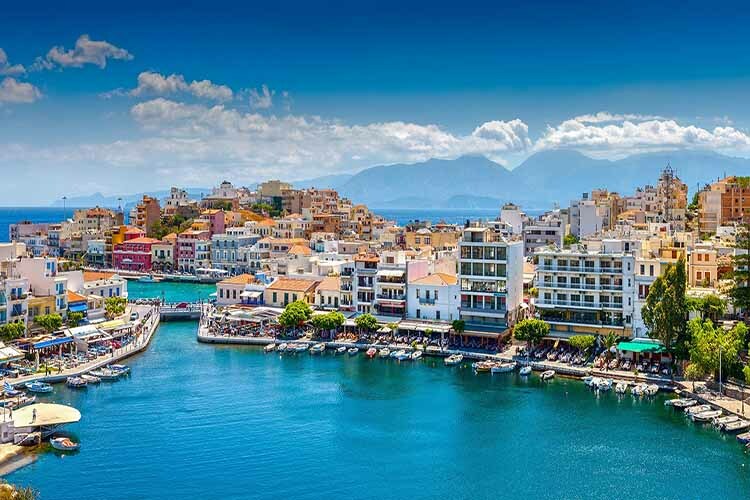 Enjoy walking in Agios Nikolaos Crete, you have several distinct waterfronts. Agios Nikolaos city has unique features, like the lake “Voulismeni”, a folklore-inspiringly deep body of water which is connected to the sea by a narrow inlet. It is a buzy gathering place for local residents and visitors alike. Enjoy good food in tavernas or in fine-dining establishments. Next, the beach at Kitroplatia is one of the few in Crete to provide that town-centre-by-the-sea beach location. At the city of Agios Nikolaos you will find a handful of hotels from the luxury five star hotel which can offer you any possible facility to the cute low budget room. In our online booking website you can find the best hotel offers for Agios Nikolaos, Crete. In Agios Nikolaos city there are a lot of places where you can resident in as a tourist. The finest European luxurious hotels with any needed comfort but also a majority of economic rooms that can serve your needs too. The e-globaltravel travel agency offers you an online booking system with which you can make room reservation for your accommodation. Would you like to take a journey in Agios Nikolaos Crete? Use online booking for both your airtickets and the accommodation. Fulfill now a registration form in our newsletter and you are going to get informed for every offer or every packet for travels to Agios Nikolaos and other places in Greece. There is a variety of things for you to see or do in Agios Nikolaos Crete. Book now for your activities in Agios Nikolaos.